I spent my Valentine's this year in London, in the heaven that is Westfield shopping centre. 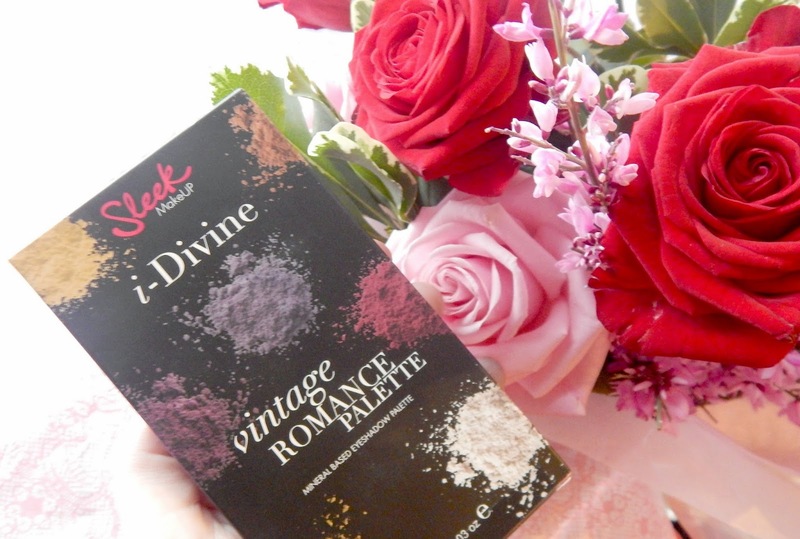 Despite the not so romantic location, I do think maybe the mood of lurrrvvee influenced my purchase of the Sleek Vintage Romance Palette. Okay, maybe not, I have been trying to get my hands on this palette for ages but it's always out of stock in my local stores. Despite all of this, you can't argue that this palette is perfectly fitting for the occasion. What initially attracted me to this palette was the purple and gold shades that seem to compliment each other so well. The pallete is made up of all shimmers apart from one matte brown (which I found is good for initial crease definition). I love this palette, it's unique to any other I own taking an little twist on the typical neutral eye! To keep this simple and sweet, here are the main reasons why I adore this palette. Firstly, the eye shadows are really nicely pigmented and blend well, which is usually my biggest issue with drugstore eye shadows. Secondly, the price - at only £7.99 you get 12 shades that give you so much variety of looks for both day and night. I also really love the sleek (see what I did there) black packaging with a nice big old mirror, perfect for travelling. However, a word of advice is to make sure that there isn't too much excess product on your brush when applying otherwise the fall out can get a bit out of control - less is more! As always, I recommend using a eye shadow primer or an eye shadow base underneath just to make sure that your shadows stays in place all day. Using a primer also helps the shadows look true to colour on the lids as they do in the pan. If you buy one item of makeup this month, make it this. Consider it a late Valentine's gift to yourself! The names of the shadows are all super sweet.. little things make me happy guys! 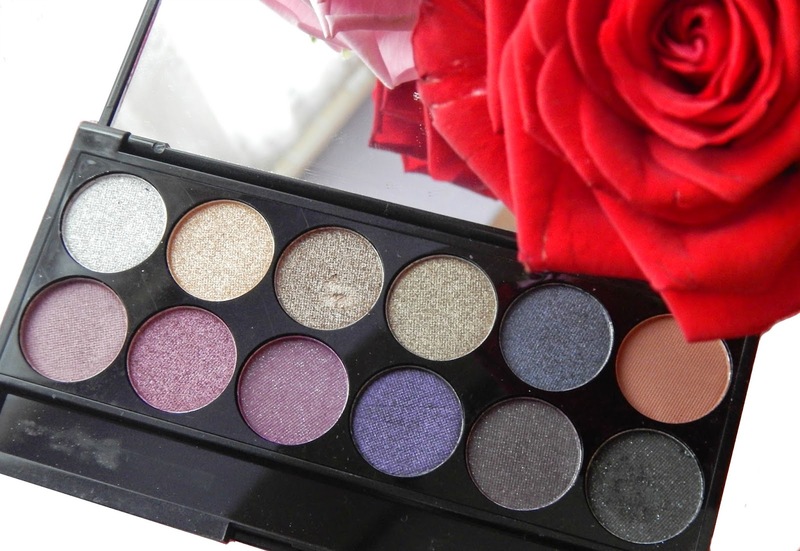 What a beautiful palette with gorgeous shades!! Will defo be looking out for this one!